Every business wants to stand out. Competition is at an all time high in many industries, and it takes effort and creativity to make a statement. For businesses interested in enhancing their brand awareness, flexographic printing, or flexo printing, is a simple, effective and affordable solution for familiar paper products. 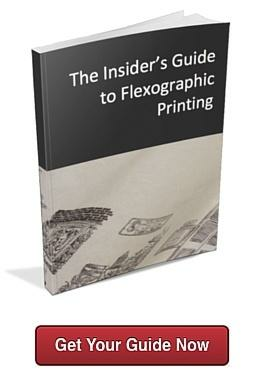 What is flexographic printing? It’s a modern version of the letterpress used to print on paper and other materials. Flexographic inks have a low viscosity, which means faster drying time and therefore speedier production and lower costs. In the paper manufacturing and distributing industries, flexographic printing can be essential to the functionality and success of certain products, like tube and core paper, paper for packaging and shipping, and more. At Oren International, we can add images, logos, promotional messages, or artwork on kraft paper, butcher paper, freezer paper, and more for a variety of industries. We’re proud to use the most advanced video inspection system on the market, the innovative Handyscan 4000, which ensures the best flexography quality control. The system’s high-resolution digital cameras allow detailed monitoring of each print job in real time. The technology provides automatic print inspection and color monitoring and correction, all essential to look for among flexographic printing companies. This technology increases our productivity while saving time and money because there’s less waste due to errors. Learn more about the innovative and creative help an experienced flexographic printing company can offer, or contact us for a custom quote on flexographic printing services.